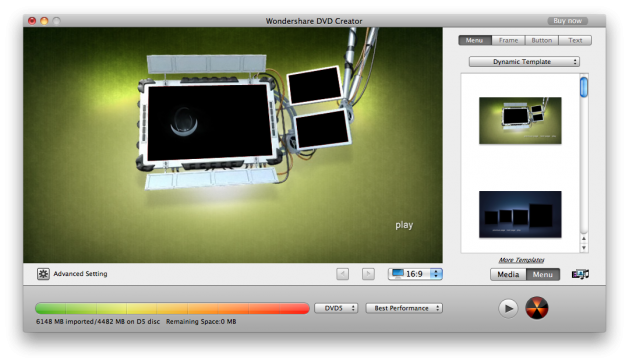 Lately we explored Wondershare DVD Creator, and we were amazed at how simple it could be to create DVD’s in easy and fast manner. Usually, the only feature we come across in most of DVD creators is just the conversion of one format to other or a simple flow of videos and chapters. Unlike Wondershare, other DVD Creators, do not provide you with options such as creating menus and adding other options for presentation of DVD. Wondershare is surely one unique DVD convertor that keeps it ahead of it's competitors. 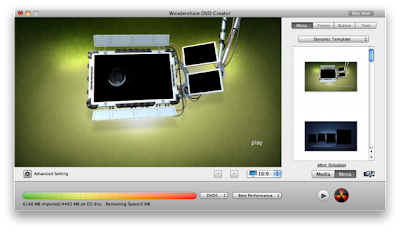 To get free licenses of Wondershare DVD Creator For Mac, jump to the end of the post. The program offers extremely easy to use interface. There are just three steps that need to be followed. The screen format as well as video quality can be picked by users with great performance and high quality. 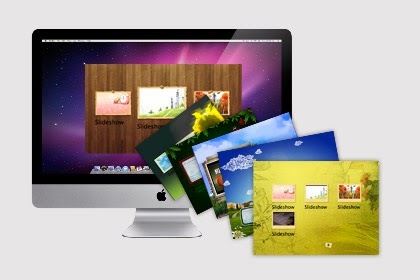 Wondershare offers numerous personalization options. There are inbuilt templates offered, while you can also download your own from the internet. The customization also includes personalized videos, pictures or text to be added when the DVD is active. The program is definitely a must have for Windows users, but you cannot afford to miss it if you are a mac user. The Mac version in fact has some more features which are not supported on Windows. When compared with Windows version, Mac has a certain more features with respect to personalization. The Dynamic template is available where your own template can be created. Buttons, frames text, etc. could be easily added to your menu. Editing offers the maximum differentiation in Windows and Mac version. The editing tool provides some of the features listed below. Crop: The videos can be cropped on choice even the black outline boundary can be removed and thus increasing the screen size. Effect: Black and white, sepia, negative and other effects can be added to the whole movie in addition to deinterlaciing to enhance video quality. 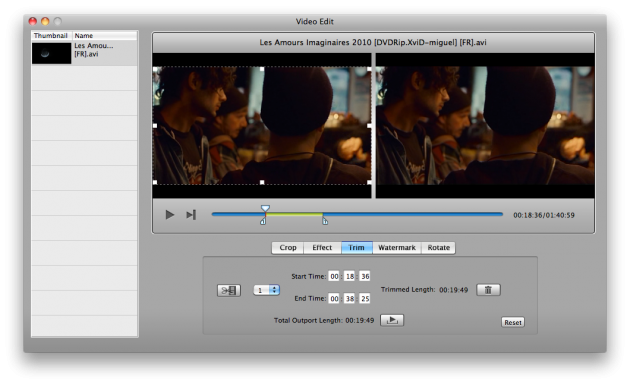 Trim: Video can be trimmed for some not needed scenes or extra blanks which are added while video creation. Watermark: You can also mark your video by adding watermark image to your video. Rotate: If you somehow creating a video in vertical position you can always rotate your video to fit your TV or laptop screen. The Wondershare DVD Creator accepts all kind of formats and has the capability of editing HD videos with TRP, TP and TS formats. An ISO can also converted easily from the DVD. Wondershare offers you many features with lots of customizations and above all it is pretty fast when compared to other DVD creators available in the web market. It is one cheap but effective DVD creator to be surely kept in your Hard Disk Wardrobe to create DVD's in a simple fashion. 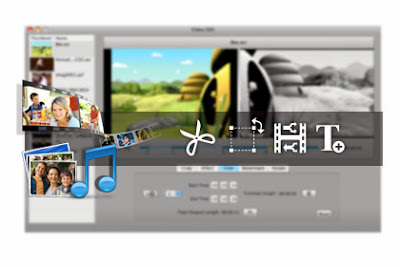 You can bag free license for this perfect DVD creator solution for Mac by participating in the giveaway here hosted by Wondershare during Nov 5th - Nov 7th. Their giveaway event will last 3 days.